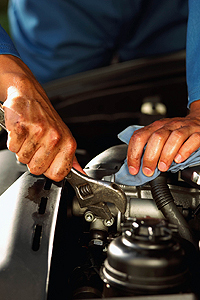 Auto services run the gamut from oil changes to engine work. 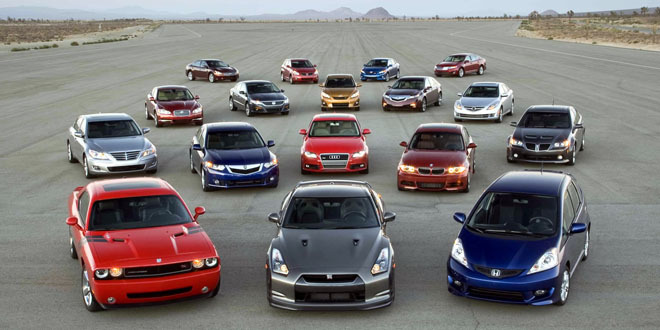 Keeping your car in excellent working order is what Total Car Care is all about. We can find the problem, even if you are unsure of what it is. Technicians check for engine troubles, problems with cooling systems, and worn or broken belts and hoses to make sure your car will get you where you are going. Having good shocks and struts will give you a comfortable ride. They need to be changed if they are getting old and worn, especially if they have reached the point where they are not functioning at all. Do no put it off another minute. We are here to give you back your pleasant ride. General auto maintenance is preventative care for your car or truck. Bring your car in for a regular oil change, and the engine will work longer and more efficiently. Have your tires balanced and rotated at proper intervals and you will get better tire wear. Your tires will not only last longer; they will be safer and make your car more energy efficient. We will check your belts and hoses routinely so that you are not left at the side of the road waiting for someone to bring you the part. Some maintenance can be done at particular times of the year, such as air conditioning maintenance, which should be taken care of before it gets hot each year. Routine maintenance will prevent accidents, save you on repair bills, and keep away the headaches of unexpected car trouble. Without the engine and transmission, your car would be nothing more than a shiny hunk of metal. That is why it pays to get outstanding auto service when it comes to these major parts of your car. So often, so-called mechanics, who are actually inexperienced or untrained, try to do engine or transmission work and only make it worse. Here at Total Car Care, we know all about these crucial car systems, and we know what it takes to repair engines and transmissions correctly.